The “World’s Greatest Deliberative Body” does not have to be the world’s slowest legislative body. Analysis of some the Floor debate on judicial nominees during the 115th Congress suggests Senate could use time more efficiently. The U.S. Senate is perhaps the only place in the world where “we’re done talking” means “let’s keep talking for a long time.” That’s because when the Senate votes to invoke cloture—end debate—Senators may (but not must) continue to debate the item at hand for an additional 30 hours before voting on it. That is all well and good if the Senate is debating an issue that is momentous and controversial. Sometimes, however, its business is not at all controversial. For instance, in July 2017, after invoking cloture on the nomination of David Nye to be a district court judge, the Senate confirmed him unanimously, but only did so after waiting about two days. It is not obvious how the Senate or the country benefitted from that delay in confirming an uncontroversial nominee, so you would be justified in concluding the Senate was wasting time. 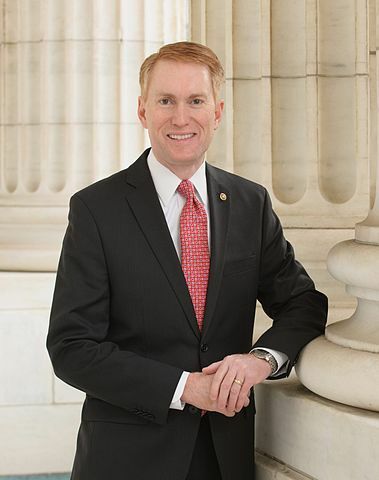 Senator James Lankford of Oklahoma, however, has a proposal that would speed up the confirmation process, and an analysis of nominations in the 113th and 115th Congresses suggests that the idea could work. Although the Senate rules do not contain the word “filibuster,” they are written in such a way that they allow a Senator, or group of Senators hold the floor for as long as they can. But a Senator—typically the Majority Leader, since he is responsible for managing business on the Senate Floor—can file a cloture petition with the presiding officer to try to end debate. A successful cloture motion ends the unstructured debate and forces the Senate to consider the matter at hand under more restrictive rules for another 30 hours. The rules of the Senate require 60 votes for a cloture motion to succeed, though various radioactive motions have reduced that number to a simple majority on presidential nominations. The 30 hours of debate that follows cloture limits how long a Senator can speak, but also makes provisions for certain amendments to be considered. This is important in policy debates, but there are no amendments that are possible when considering the nomination of an administration official or judge. Since the amendment process is not relevant to nominations, it raises the question of why the Senate would need to spend 30 hours after cloture on a nominee that is not either controversial or being named to a high position or both. Without a grave reason, 30 hours is excessive and even a waste of time. One way the Senate organizes its business is by adopting what are known as standing orders, and at the beginning of the 113th Congress, the Senate adopted one that, among other things, reduced the time for post-cloture debate for most nominations. The 2013 change reduced post-cloture debate from 30 to 8 hours for most nominations. District court judgeships and a handful of other judicial positions could have only 2 additional hours of debate. Higher-profile positions, like those for the Cabinet, the Supreme Court and Circuit Courts, would still be subject to 30 hours of post-cloture debate. This rule expired at the end of the 113th Congress, but Senator Lankford has introduced S.Res. 355, a resolution to make it a permanent part of the Senate rules. In the 113th Congress, 77 nominations for judgeships which qualified for the 2-hour rule were confirmed. On average, less than half a day passed between the cloture vote and when the nominee was confirmed. Between the beginning of that Congress and December 20, 2013 (a comparable period which we studied for this Congress), five such nominees were confirmed, and both the cloture vote and confirmation vote took place on the same day. In this Congress, as of December 20, the Senate also confirmed nominations for 5 judgeships which would qualify for 2 hours of post-cloture debate, but on average, 3.6 days passed between the cloture vote and confirmation. In the 113th Congress, the Senate confirmed 73 nominations for positions that qualified for 8 hours of post-cloture debate. On average, less than a day (0.68) elapsed between the successful cloture vote and confirmation. Between the beginning of that Congress and December 20, 2013, the Senate confirmed 20 such nominations, and, on average a quarter of a day passed between the cloture vote and confirmation. In the 115th Congress, as of December 20, the Senate confirmed 32 nominations that would qualify for 8 hours of post-cloture debate. On average, a little over 2 days passed between the cloture vote and confirmation. While it can seem confusing, going through the math and counting the days the Senate spent on nominations is necessary to make the point. Tables 1 and 2 summarize how many days it has taken to confirm nominees eligible for Senator Lankford’s proposal after the Senate has invoked cloture. The 2- and 8-hour time limits were in place for the entirety of the 113th Congress, but not during this Congress (the 115th). In general, in this Congress, the time between cloture and confirmation has been longer. In the 113th Congress, most of the eligible nominees were confirmed on the same day that cloture was invoked. That has not been the case this Congress. A day or more has passed for the majority of nominees this Congress. In three cases, 11 days passed between cloture and confirmation. Weekends and recesses have been included in these totals, and one could easily argue that they should not be. However, Federal agencies and Courts do not have the same schedule as Congress, so when Senators return to their home states without having confirmed nominees, the other branches of government must operate without the requisite personnel in the interim. Another way to sketch the slow-down in the nomination process is by comparing the number of days on which multiple clotured nominees have been confirmed. As with the days between cloture and confirmation, the 113th Congress showed signs of being more efficient. For instance, during the 113th Congress, the Senate confirmed nominations that qualified for shortened post-cloture debate on 46 different days. On 33 of these days, the Senate confirmed more than one of these nominees. In other words, on 71.74 percent of the days the Senate confirmed at least one such nominee, they confirmed multiple. Between the beginning of that Congress and December 20, 2013, the Senate confirmed at least one qualifying clotured nominee on 13 days, and on 6 of these days—46.15 percent—it confirmed multiple such nominees. By contrast, in this Congress, through December 20, 2017, the Senate has confirmed at least one nominee that would qualify for Senator Lankford’s proposal on 35 days. On only 2 days—5.71 percent of the total—has the Senate confirmed more than one of these nominees. Plus, during the 113th Congress, the days on which multiple clotured nominees were confirmed were more productive than this Congress. On each the two mutli-confirmation days of this Congress, only two nominees qualifying for the shortened postcloture debate were confirmed. During the entire 113th Congress, on three days, the Senate confirmed as many as six nominees that qualified for shortened post-cloture debate. Between the beginning of the 113th Congress and December 20, 2013, the Senate confirmed six qualifying nominees on one day. Between the beginning of the 115th Congress and December 20, 2017, the Senate never had a day when it confirmed six nominees that would qualify for Senator Lankford’s proposal. In fact, there was not been a single day on which it confirmed more than two such nominees. All of this is to show that using shortening the post-cloture debate saved a significant amount of time in the 113th Congress, allowing nominees to take office more quickly. But more importantly, the possibility of working on the people’s business has been significantly delayed in the current Congress because so much time has been needlessly spent on nominations following a successful cloture vote. Consider that when cloture is invoked, the matter at hand becomes the unfinished business and the Senate may not move onto another legislative matter or nomination, except by unanimous consent. Given that, a constituent unfamiliar with the way the Senate works might expect Senators to debate the merits of the nominee. This is not necessarily the case. For instance, in the case of Judge Nye, Senators spoke for nearly four hours while his nomination was technically under consideration, but he was almost never the topic of discussion. We estimate that two Senators spoke about him for a little under nine minutes altogether. The rest of the time was given to speeches on healthcare, Venezuela, a plane crash and the Senate pages. Each of these topics could well be worthwhile, and each is certainly important to the Senator speaking about them, but should they figure into what is supposed to be part of the confirmation process? On the surface, it does not appear that the Floor speeches advanced the Senate’s role in vetting a nominee’s merits. This suggests the Senate should reduce the time spent on considering nominees and allow Senators to spend more time on debating critical issues by allowing the confirmation process to proceed to a final vote sooner than the current rules call for. Thirty hours of debate post-cloture theoretically allows the Senate to discuss important issues at great length. Great debate is exactly what the Senate needs, but it should be on the right issues, issues that divide the public: healthcare, spending, immigration reform and the like. By contrast, uncontroversial, well-qualified nominees do not need protracted debate. Assuming the Judiciary Committee has conducted a thorough examination of the nominee and Senators have had adequate time to consider the nomination before cloture, the time limits in Senator Lankford’s proposal are probably sufficient to ensure that the Senate has conducted its due diligence. Perhaps if the Senate adopts it, the Chamber can make relative haste (compared to say, paint drying), but still slowly enough that nominees are thoroughly vetted.